Note: You should first create the template in the app which you would like to provide to customers. See the Getting Started guides for instructions on how to create your templates. 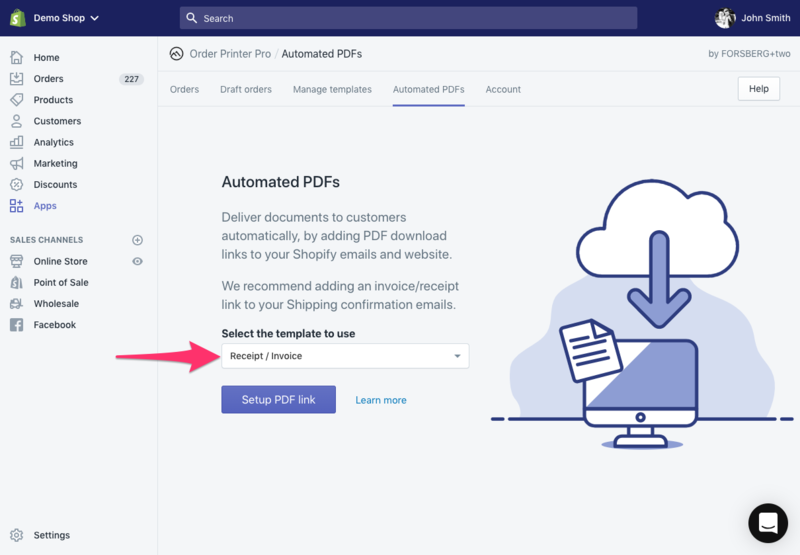 This guide shows how to setup PDF download links in your Shopify emails and website, so customers can download receipts and invoices themselves. 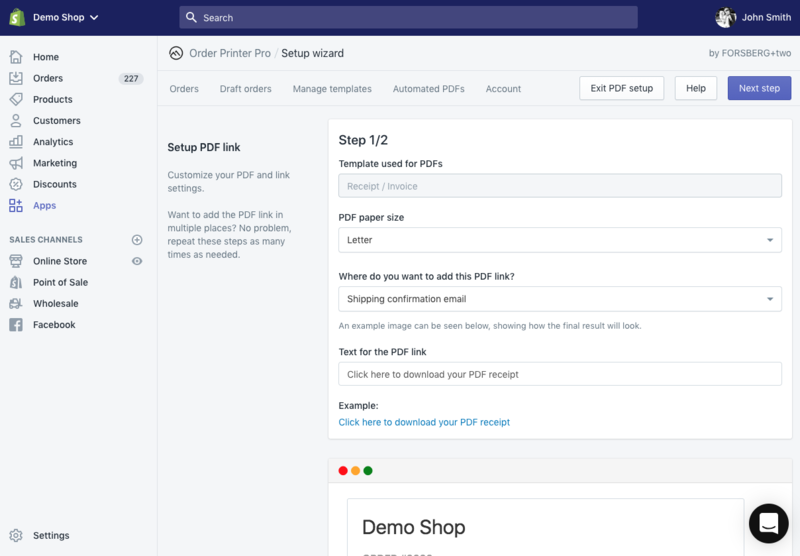 Providing customers with PDF documents automatically will not only reduce the amount of customer requests you receive, but also help to cut down on paper usage. 3- Select the template you would like to provide to customers automatically, then click the "Setup PDF link". 4- The PDF link settings page will appear, fill our each of the fields. Note: It's important to select the correct email or page in the "Where do you want to add this PDF link?" field, as this changes the instructions you see in the next steps. 6- You will now be provided with step by step instructions of how to add the needed pdf download link code to the select email or webpage. You can repeat the PDF link setup as many times as you like. Each template can have multiple PDF download links, added to different emails and webpages.